Tech-Wonders.com » Games » Fun and Bullets Game Makes Arkanoid Fun Again! Keeping aside car racing games and adventure games for some time, let’s go to the Wild West and become a new avatar as cowboy playing the game ‘Fun and Bullets’. Generally to say a true cowboy will have guns in hand and bullets around the waist. But in this arcade game where you are a cowboy, your weapon to clean out the range is a tennis-like ball. Fun and Bullets is basically a breakout game, so all you have to do is hit the tennis-like ball with a bat controlled by cowboy and destroy the brick above, collecting bonuses along the way. In this game there are available 17 types of bonuses and by collecting bonus points additional powerups and balls will come. You can find many objects all moving on the screen and you’ve to shoot whichever comes across you. If the ball misses from the bat of the cowboy and falls down, he loses a life! 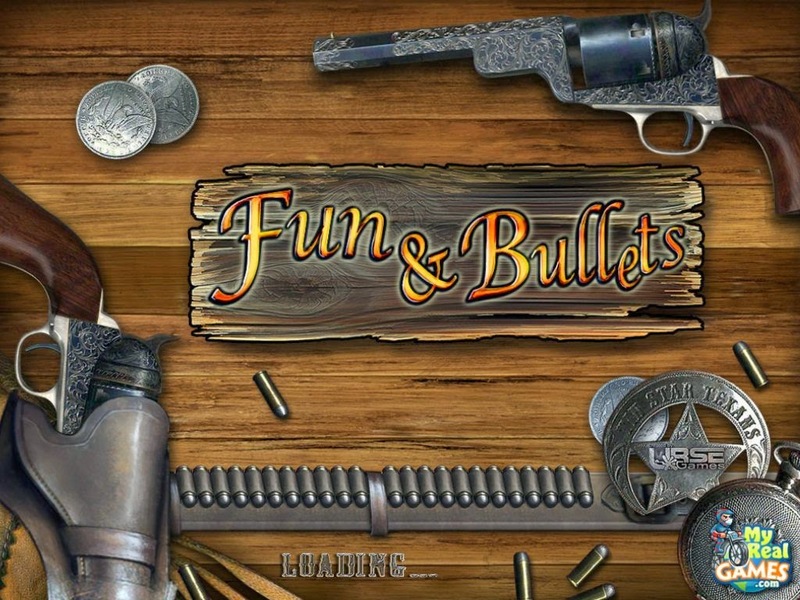 Fun and Bullets game is made up of spectacular 3D graphics and attractive sound effects. Total captivating 3D-levels in this free Arkanoid-style shooter game are 200 and they can be played in 3 difficulty modes – easy, normal and hard. Fun and Bullets raises the bar for brick breaking games and makes Arkanoid FUN again!